Sapphire Reserve is the luxury big sister of the Sapphire Preferred. The card has been popular since its release in August 2016. It competes with the American Express Platinum (a CreditDonkey partner) and the Citi Prestige. Chase Sapphire Reserve offers a long roster of perks and benefits that help to justify its high annual fee. Here's a quick overview of some of the card's most appealing perks. Is Chase Sapphire Reserve Worth the Fee? Quick Takeaway: Chase Sapphire Reserve's benefits include $300 annual travel credit, unlimited Priority Pass lounge access, Global Entry or TSA-Pre application credit, primary car rental insurance, trip cancellation insurance, travel medical benefits, and much more. Keep reading to learn about these benefits in more detail. Is this top-tier travel credit card right for you? Read on for an in-depth breakdown of its benefits. Tip: You can maximize the value of your points by transferring them to Chase's hotel and airline partners. Airline partners include British Airways Avios, Air France Flying Blue, Singapore Krisflyer, United MileagePlus Miles, Southwest Rapid Rewards, JetBlue TrueBlue, and Virgin Atlantic Flying Club. If you want to transfer points to a hotel loyalty program, you can choose between World of Hyatt, IHG Rewards Club, Marriott Rewards, and Ritz-Carlton Rewards. Every year, you get a $300 credit to be used for any travel purchases. Whenever you book a travel purchase, it will be automatically credited to your statement, up to $300. Credit renews each cardmember year. This yearly $300 travel credit goes a long way to balance out the annual fee. Did you know: The Chase Sapphire Reserve is a metal card. It has a dark, sleek design with a luxurious, weighty feel to match that price tag. In fact, this card was so popular that the manufacturer ran out of the metal to make it when it was first released. Thankfully, it was just temporary, and metal cards were soon mailed to those approved. You get complimentary Priority Pass Membership with the Chase Sapphire Reserve. This is another perk frequent flyers love. The Priority Pass membership gives you unlimited access to over 1,000 airport lounges worldwide. You can even bring in 2 guests at no extra charge. Generally, lounges provide complimentary food, beverages, Wi-Fi, and workspaces. Enrollment isn't automatic - you'll have to activate membership once you open your account. Learn more about how Chase Sapphire Reserve lounge access works here. 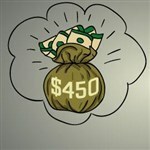 Log into your account at ultimaterewardspoints.chase.com. Go to "Card Benefits" in the left-hand menu. Click "Activate" under Airport Lounge Access. Receive your membership card in the mail in 1-2 weeks. Did you know: Chase Sapphire Reserve has no foreign transaction fee. Every 4 years, you'll receive $100 application fee credit toward TSA Pre or Global Entry. TSA Pre gives you expedited security screening, while Global Entry grants you expedited customs. Between the two, we recommend Global Entry as it includes TSA Pre. Both are 5-year memberships. You're automatically credited for one application when you pay for it using the Reserve card. So if you don't plan to apply, you can "gift" it to a friend. It doesn't matter whose name is on the application. 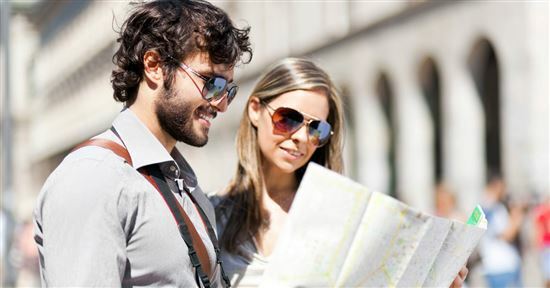 Enroll in the Trusted Traveler Program. Pay for the Global Entry application with your Reserve card. Wait for the Conditional Approval Letter (3-5 days). Schedule interview within 30 days of conditional approval. Have interview and wait for approval. Receive membership card in the mail in about 2 weeks. Activate card. I decided to apply for Global Entry because either that or the TSA PreCheck application fee was covered by my [Chase Sapphire Reserve] credit card. I do think the Global Entry is worth it if you know you are going to travel by plane at least a handful of times each year. Another huge advantage of the Reserve is that you get a discount on the Ultimate Rewards travel portal. When you book travel on the Chase portal using your points, your points are worth 50% more value. This means that 10,000 points are worth $150 (instead of the normal $100). You can book travel on Ultimate Rewards with any airline, for any dates. You don't have to worry about seat restrictions or blackout dates. Go to Chase's main page: chase.com. Once you've logged in, click on "Redeem Rewards" on the right. As a top-tier travel credit card, the Reserve offers many travel protections. These protect you from travel snafus such as lost baggage and delayed flights. These apply to travel with "common carriers" like airlines, buses, cruises, and trains booked with your Reserve card. Trip Cancellation and Interruption. You and your immediate family members can be reimbursed up to $10,000 if your trip is cancelled or interrupted by sickness, extreme weather, or other eligible covered circumstances. This applies for pre-paid and non-refundable travel expenses, like airfare, hotels, and tours. The trip cannot be longer than 60 days. And it must be pre-paid - meaning that you booked the arrangements before leaving on the trip. Tip: If the airline cancels your flight, you shouldn't have any problem getting them to refund your ticket. But if your flight is delayed and you end up having to cancel prepaid plans, you're likely on your own. Booking on your Reserve card will cover that scenario. Trip Delay Reimbursement. If your common carrier is delayed for more than 6 hours or overnight, you can be reimbursed up to $500 per ticket for your added expenses, such as lodging, meals, and toiletries. Baggage Delay Insurance. If your baggage is delayed for over 6 hours after you arrive, you can be reimbursed up to $100/day for 5 days for essentials, such as toiletries and clothes. You and your immediate family members are all covered. Lost Luggage Reimbursement. You can be reimbursed for carry-on or checked luggage that is damaged or lost by your carrier. You can get up to $3,000 per person (up to $500 per person for jewelry, watches, and electronics). This applies to stolen luggage as well as to your family's luggage, even if you aren't traveling with them. Tip: Don't forget to document your expenses! The claims process is an arduous one. You can expect to face some pushback no matter what insurance policy you're trying to cash in on. 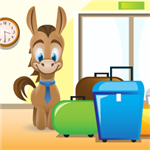 Be sure to get documentation from the airline that your baggage has been lost or delayed. Also, keep the receipts for the essentials you buy. Did you know: Chase Sapphire Reserve offers 50% more value when you redeem your points for travel through Chase Ultimate Rewards. For example, 50,000 points are worth $750 toward travel. Book airfare or hotel stays through Chase with your points with no blackout dates or travel restrictions. Collision and Damage Waiver for Rental Cars. The Reserve offers primary - not secondary - collision and damage insurance when you pay the entire car rental fee in full. This means you can decline the rental company's collision and damage insurance. You are covered up to $75,000 reimbursement for theft and collision in the U.S. and abroad. Note: exceptions include vintage or luxury rentals and motorcycles. Rental must not exceed 31 days. Most credit card coverage is secondary, meaning they'll only cover what your primary insurance company doesn't, like your deductible. A credit card with primary coverage can help you avoid a claim on your auto insurance policy. Car rental privileges. You get special discounts with National Car Rental, Avis, and Silvercar. Enroll through your account to receive promotions, discounts, and upgrades on car rentals. National: You get complimentary Emerald Club membership. This allows you to choose any car and only pay the midsize rate. Plus, save up to 25% on qualifying car rentals. Avis: You get complimentary Avis Preferred Plus Status. Complimentary. Save up to 30% on Avis base rates. And get complimentary two-day weekend rental for qualifying rentals. Silvercar: save up to 30% on qualifying car rentals. Roadside Assistance. You can get emergency roadside assistance up to $50 per incident, 4 times per year. Services include towing, jumpstarting, tire change, locksmith services, and gas fill-ups. Emergency Medical and Dental Services. If you're over 100 miles from home and become sick or injured, you can be reimbursed up to $2,500 for medical expenses. This also applies for your immediate family members. Emergency Evacuation and Transportation. If you or your immediate family become sick on a trip and require emergency evacuation, you can be covered up to $100,000. Travel Accident Insurance. For the worst of all worst-case scenarios: you'll receive coverage for up to $1,000,000 in the case of accidental death or dismemberment when riding in a common carrier. Purchase Protection. Eligible new purchases are covered against damage and theft for the first 120 days after purchase. You are covered up to $10,000 per claim and $50,000 per year. If the item was stolen, you must file a police report within 48 hours of the theft. If the item is damaged, the Benefit Administrator will decide if it will be repaired, replaced, or reimbursed. Extended Warranty Protection. For eligible purchases with a U.S. warranty of 3 years or less, this protection will extend that warranty by 1 year. You get coverage of up to $10,000 per claim, with a maximum $50,000 per account. Return Protection. If a store won't accept your return, your Reserve will have you covered. You can be reimbursed up to $500 for each eligible item, for a maximum of $1,000 per year. The item must have been purchased within 90 days and be in like-new/good working condition. Tip: Another card may give you more points for certain purchases, while the Reserve only gives you 1x. But charging them to your Reserve card might actually end up saving you more money in the case of an accident. Compare the cards' purchase protections to make your choice. The Luxury Hotel & Resort Collection. Get perks when you book an eligible stay with the Chase's Luxury Hotel & Resort Collection. Enjoy perks like complimentary breakfast, early check-in, late check-out, room upgrades, discounts, and extra gifts and amenities. Varies by property. Accelerated access to Elite Status with Relais & Châteaux. This won't be for everyone, but it's a nice bonus perk if you enjoy splashing out on luxury villas and boutique hotels. Relais & Châteaux offers luxury properties throughout the U.S., South America, Europe, and Africa. When you book 2 nights (over the course of 12 months) with Relais & Châteaux, you'll be eligible for Club 5C status. This gives you perks like free room upgrades, VIP welcomes, special events, and exclusive offers. You'll need to book your stay with your Reserve card through Visa Infinite Concierge. 24/7 Customer Service. You'll have 24/7 access to customer service. Just call the number on the back of your card. Visa Infinite Concierge services. Don't have time to hunt down Broadway tickets or dinner reservations? This service can help with that. Use them for requests like making reservations or buying event tickets. Worldwide Travel Assistance. If you need to book or modify travel plans through Chase Ultimate Rewards, the Chase Travel Team is there to help you through that process. Their own complimentary Priority Pass membership. They get unlimited access into Priority Pass lounges, as well as the ability to bring in 2 guests for free. As this membership is worth roughly $400, getting it for just $75 is a great deal. They help you earn points. They'll also earn 3x points on travel and dining, and 1x on everything else. All points go into your Ultimate Rewards account. You can transfer points to your authorized user's hotel or airline loyalty programs. So you can gift them points if they need a little bit of help to get a free night or flight. Authorized users do NOT get their own annual $300 travel credit or Global Entry/TSA Pre fee credit. This is shared between all card accounts. VIP Event Access: Get exclusive access to special VIP events such as private dinners with famous chefs, sporting tickets, and musical performances. Some past events included VIP tickets to the PGA golf tournament, special experiences at the Sundance Festival, and pre-show reception for the Radio City Christmas Spectacular. Experiences can be booked with cash or using your points. Pair with another Chase Ultimate Rewards card for maximum points. 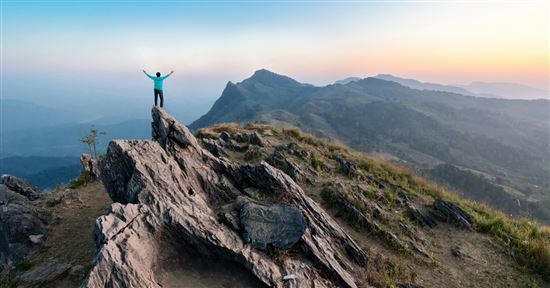 Chase Freedom offers 5% bonus categories that change every quarter. So you can use it on 5% category purchases, and the Reserve for travel and dining. Sometimes, the 5% categories include restaurants, so that gives you more rewards than with the Reserve. Or you can pair with the Chase Freedom Unlimited, which gives you 1.5% back on all purchases. These strategies will allow you to get the most points possible. You can then combine your points unto your Reserve card, and use them for higher value. Shop through Chase for bonus points. Chase has a great online shopping portal where you can earn bonus points at over 200 partner merchants. This will allow you to earn extra points on your shopping too. Remember to check if your store is listed when you buy something online. Your points are worth 50% more value on the Chase travel portal. Sometimes, this is even better than transferring points to an airline, especially if it's a low-priced economy flight. For example, let's say there's a round-trip flight from Los Angeles to London during low season for just $500. With the Sapphire Reserve points discount, this would only cost 33,334 points. That is way better than transferring to United, where a round-trip to Europe would cost 60,000 miles. It's always smart to check the portal too when booking a flight. Plus, since the portal converts a cash price into points, there are no award fees. If you have a loved one who travels often, adding him/her as an authorized user for $75/year is very well worth it. Authorized users get their own Priority Pass Select membership. They get unlimited lounge access and can bring in 2 guests of their own for no extra charge. This benefit is worth over $400, and to get it for only $75 is amazing. 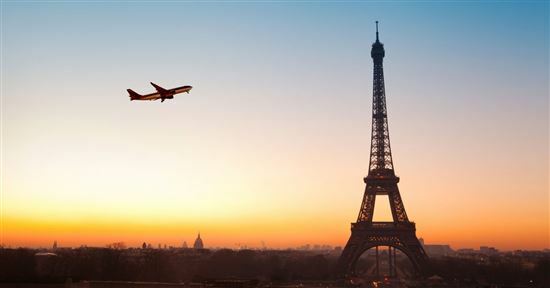 Book travel with points through Ultimate Rewards at a discount. When you book travel with points through the Chase travel portal, you receive a 33% discount. Each point is worth 1.50 cents (10,000 points = $150). Learn the best ways to redeem Ultimate Rewards points. How much is 50,000 Chase points worth? If you transfer to airlines, redemption value varies. You could get 2 round-trip flights from Los Angeles to Hawaii (with British Airway), which can be worth $1000+. 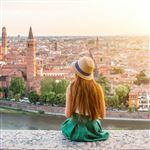 It can also be worth a round-trip flight to Europe (though some airlines charge fuel surcharge, so you'd need to account for that). Can spend $4,000 in the first 3 months. If you can meet the minimum spend, you'll earn a huge bonus worth $750 on the Chase travel portal. Spend at least $300 in travel each year. The $300 annual travel credit effectively brings down the annual fee to just $150. Can make use of Priority Pass lounges. This is just the cherry on top. With a few lounge visits, you'll easy get more value than you're paying. But make sure you will fly out of airports with Priority Pass lounges. There is no longer price protection. Priority Pass membership only allows you to bring in 2 guests (used to be unlimited guests). 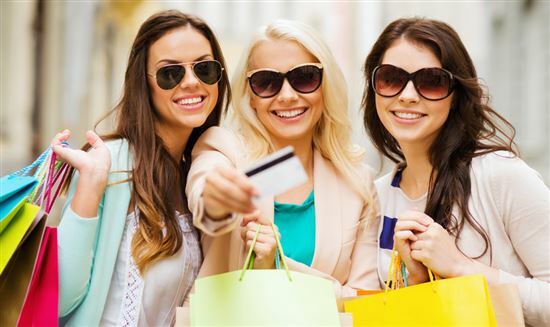 The travel purchases that qualify for the $300 travel credit will not earn 3x points. Despite these slight devaluations, we still think the Reserve is worth applying to if travel often. The annual fee is $450 and it is NOT waived for the first year. Did you know? Chase waives the annual fee for active-duty military servicemen on their personal cards. Even the $75 fee for authorized users are waived. For new accounts, the annual fee is automatically waived when Chase compares your SSN to the DOD databases. If your account is not new, you can submit materials through Chase's secure messaging. What credit score do you need for Chase Sapphire Reserve? Chase Sapphire Reserve usually requires an Excellent credit score. This usually means a score of 720 or better. But Chase will also consider other things besides credit score, such as your total open cards and recent hard inquiries. Find out more about what kind of credit is required and how to improve your odds. What's the highest credit limit for Chase Sapphire Reserve? The lowest credit limit offered by Chase Sapphire Reserve is $10,000. Theoretically, the limit can go all the way up to $500,000. Chase will consider factors like your length of credit history, payment history, and income to determine your credit line. Learn more about it and how to get a credit limit increase. Chase's unofficial 5/24 policy states that if you have opened 5 or more credit/charge cards in the past 24 months, you will not be approved for certain Chase cards (including the Sapphire Reserve). This goes for credit cards with any bank, not just Chase. So if you want this credit card, prioritize the application over any others. Do points expire on Chase Sapphire Reserve? Can you redeem Chase Sapphire points for cash? Yes. You can redeem for statement credit or direct deposit into your bank account. The redemption value for cash is 1 point = 1 cent. You need at least 2,000 points ($20) to start redeeming for cash back. 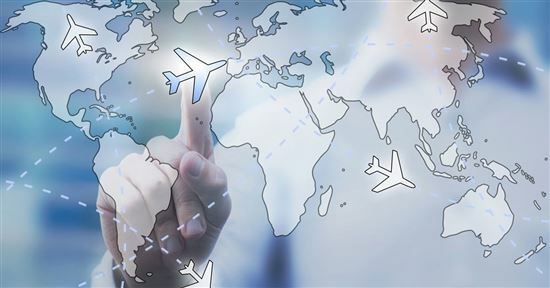 What airlines does Chase Sapphire partner with? But you can book travel on any airline by redeeming your points on the Chase travel portal for 50% more value. How long does Global Entry approval take? Once you have submitted an application online, it could take a few days to 5 weeks to be conditionally approved. Once you receive the online conditional approval, you have 365 days to complete an in-person interview. This will depend on the availability of your nearest enrollment center. At the interview, if everything is in order, you should be receiving your Known Traveler Number, and then get your Global Entry card in the mail in a couple of weeks. What counts as 3x points for travel with Chase? How do I refer friends for Chase Sapphire Reserve? If you already have the Reserve card, you can refer your friends and family through the Chase Refer-A-Friend program. You can earn up to 5 referral bonuses per year. Read our detailed guide to learn how it works. Can you withdraw cash with Chase Sapphire Reserve? You can withdraw cash with the Sapphire Reserve from an ATM via a cash advance. There is a cash advance fee of either $10 or 5% (whichever is greater), as well as a cash advance APR that goes into effect right away. In our opinion, the Reserve's flexible annual travel credits and long list of perks and benefits make it competitive with other premium travel credit cards. For very frequent travelers, the Reserve offers great value - especially for Sapphire Preferred users. For more info on how the Reserve justifies that $450 annual fee, head over to our full review. Or, if you've already applied, start looking into your next steps for taking full advantage of the card's perks and benefits. Disclaimer: This content was first published on October 1, 2017. This content may have been updated on December 27, 2018. Information including APR, terms and benefits may vary, be out of date, or not applicable to you. Information is provided without warranty. Please check Chase website for updated information. 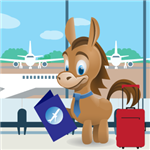 Disclaimer: The information for the Chase Freedom and Citi Prestige® Card has been collected independently by CreditDonkey. The card details on this page have not been reviewed or provided by the card issuer.